Got a little reindeer roaming around the house? 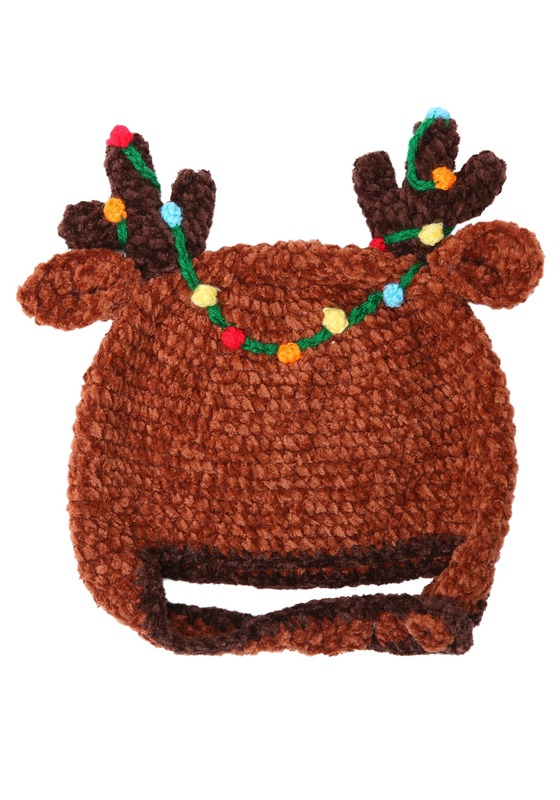 If you dress your little one in this reindeer hat you will now! Christmastime is right around the corner, so set your infant up with this adorable and cozy hat. Their nose might not light up red, but they'll sure be as cute as a button with this seasonal touch! This knit hat features ears and tiny antlers reminiscent of one of Santa's famous reindeer. It even has knit string lights for an extra touch. Available in sizes from newborn to 2T, this Christmas hat is the perfect touch for your little one's first holiday!